Augusta National Golf Club on Sunday, April 7, 2019! 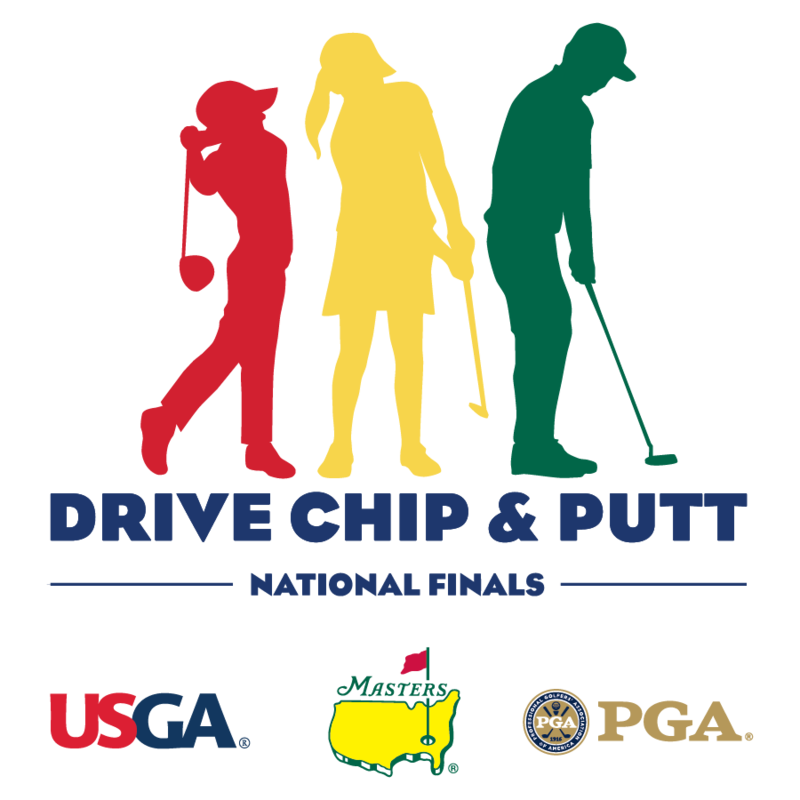 In an effort to promote interest and participation in the game of golf, in 2013 the Masters Tournament Foundation, The PGA of America and the United States Golf Association came together and created the Drive, Chip & Putt Championship. Participants in the Drive, Chip & Putt Championship advance through local and regional qualifiers conducted throughout the United States. Competitors are comprised of boys and girls ages 7-15 and compete in separate divisions in four age categories. Your age is determined as of the Championship in April 2020. The events entail each participant getting three putts, three chips, and three drives to try to earn as many points as possible. Awards are given out to the overall champions as well as each individual skill champion. This is a great way for juniors to get involved in golf and have a chance to go to Augusta National! For detailed information about Drive, Chip & Putt please visit www.drivechipandputt.com. Drive, Chip & Putt will have four levels - Local - Sub-regional - Regional - National Championship. The STPGA will be running ten local qualifiers and two sub-regional qualifiers. Each of the qualifiers hosted by the STPGA will take place during the Summer of 2019 where players will be competing for their place at the 2020 National Championship. LOCAL – Top three juniors per each gender/age group (24 per site) move on to Sub-Regional. SUB-REGIONAL – Top two juniors per each gender/age group (16 per site) move on to Regional. REGIONAL – Winner from each division (8) move on to the National Championship at Augusta National Golf Club in April of 2020. Click here for the full 2020 Qualifying Schedule. Registration for the 2020 Qualifiers is NOW OPEN. All registration for events will take place on www.drivechipandputt.com. If you have any questions regarding your registration, please email info@drivechipandputt.com. Please direct any questions regarding the 2020 Qualifiers to Jessica Greenshield at jgreenshield@pgahq.com.